Rye Maple Muffins | Naturally. Why do something if it doesn’t make you happy? I mean, sure, there are times when we have to do something that doesn’t make us happy (ie, doctor or helping out a friend) but on the larger scale of things, why not pursue happiness. While at the sustainability conference, many spoke on the notion that you don’t go in to farming to make a lot of money but instead you farm because you love farming. I feel that are goals as a society are skewed. Between school, the news and the lotto, we focus so many efforts on monetary goals and often loose a lot in the process. I’ve had similar conversations with people about relationships and whether or not happiness plays a role. So often I loose focus and begin to choose comfort as a replacement for happiness. What I realize even more is this penetrates deeper in to my life to where instead of being happy with anything, I feel more complacent. It effects my all my relationships, my work, and my students. I feel like I’ve been living in this state for a bit of time now and for some reason, yesterday, I snapped out of whatever had been weighing me down. I let go of some burden that had been holding me in comfort. What I seem to always forget is that one of the most important factors of life is in my hands. If I’m not happy, I need to change it. So really, this is a challenge for you. Do one thing today that makes you happy. It doesn’t have to be anything big. It could be having a cup of coffee by yourself or the one you love, it could be spending 30 minutes reading your favorite book, or it could be as simple as sitting outside. Do something that is good for your soul. You could even make these muffins. These muffins make me happy. I love the combination of rye, maple syrup, and cardamon. 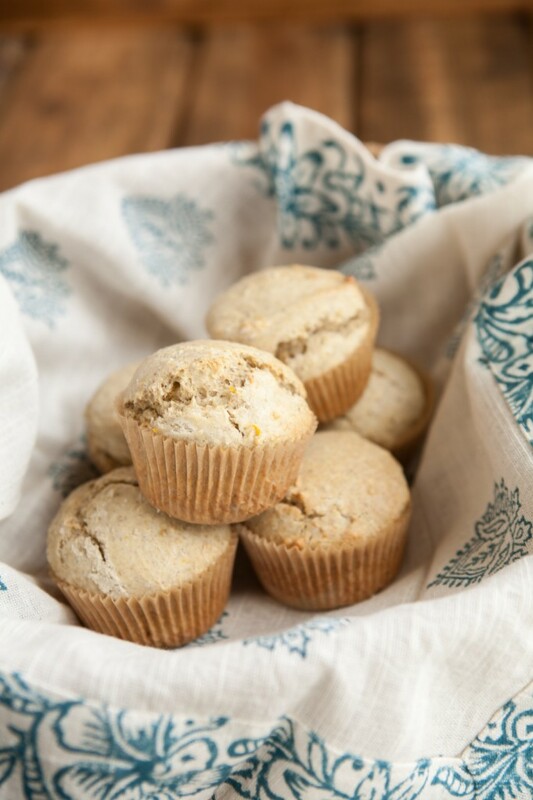 It’s this simple yet slightly earthy flavor that really brings these muffins in to happiness territory. I opted not to add fruit for the simple reason I didn’t have any. However, I think these would be delicious with blueberries or raspberries tossed in. 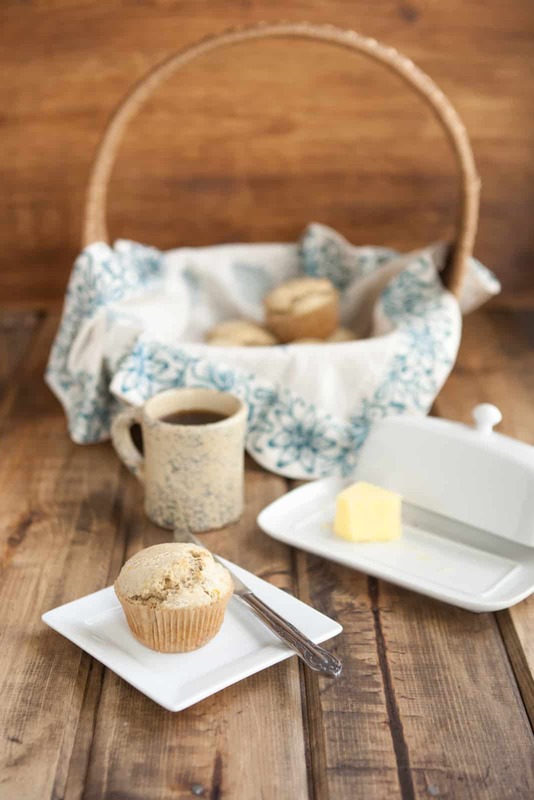 I often whip up a batch of these muffins and toss all but a couple in the freeze so that when I want a coffee snack, I’ve always got one. Preheat your oven to 375˚ and line or grease a 12 muffin pan. In a large bowl, combine the flours, baking soda, powder, cardamon, and orange zest. Give a quick stir. Portion out evenly among the muffin tin. 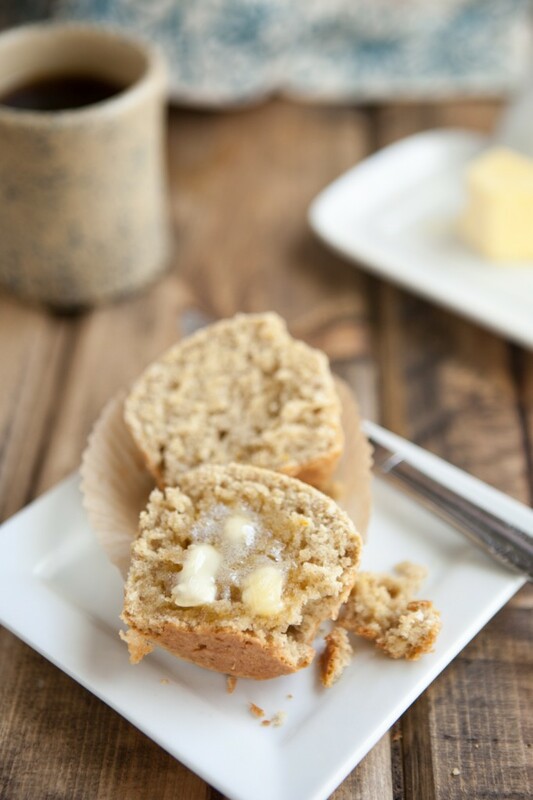 This recipe makes some bigger muffins so be generous on your scoop! Bake for 15-18 minutes until muffin springs back and is golden brown. What a gorgeous post – I 100% agree. Life is what you make of it and taking happiness into your own hands is such a powerful thing. These muffins look amazing…one bite and I’d be a happy girl! Mmm what a perfect idea for breakfast. Love it! What great words. As I’ve grown older I’ve realized just how important happiness is to me – so much more than monetary gains. This looks like a great recipe! My significant other’s parents are coming to stay with us for a while and I believe these will be perfect to make ahead, freeze, and pull out when they’re here! These freeze so well- I think you will love them! I can’t wait to start camping again! Love it! I hate to burst your bubble, by RYE contains GLUTEN. Wheat, Oats (unless processed in a dedicated gluten free facility), Barley and Rye all contain gluten. I clicked on a site ad for gluten free rye muffins to get here. I’m sorry but I never stated that these were gluten-free. I know full well that rye contains gluten and would never advertise different. Can I ask which site you are referring to? What a great recipe 🙂 I love rye flour, but have not yet used it to make muffins. Love the addition of maple too. i very much agree with the sentiments in your post – too much focus about the outcome rather than the process itself. i fear that i have spent to much on the “comfort” rather than the “happiness” – thanks for the “nudge” to refocus. the muffins look great and i have been wanting to bake more w/ rye flour so i’m going to give them a try. however, i’m not a big fan of maple syrup do you think molasses would work in these? or would that be a bit too heavy? I made these and they are excellent! I froze most of them and they do indeed make great little life (or at least moment) saving morsels. Not too sweet and great flavor. Thanks for sharing! Do you think these could be made egg free? I am not able to eat wheat ,just for the summer. SO i JUST USE ALL RYE AND IT IS VERY GOOD , excuse the caps. Just add 1/2 more B Powder. YUM! !